market for AI on this basis at more than $14.4 billion for 2018. Researchers at Gartner estimated that the global business value derived yearly from AI had already reached $1.2 trillion by 2018, while analysts at PwC estimated that AI's contribution to the global economy could soar to $15.7 trillion by 2030. Artificial Intelligence (AI) and machine learning will create vast changes in nearly all segments of business and industry over the mid-term. The effect of AI on consumers and households is already in broad evidence, although the people benefitting from such technologies may not be aware of the process or the significance of what's going on around them. For example, utilizing machine learning, Amazon.com pioneered the development of advanced software that learns from a shopper's actions online and then makes product recommendations tailored to the individual. In its early years, Netflix famously offered a $1 million prize to anyone who could engineer an algorithm that would learn from a subscriber's movie rental habits in a manner that would increase the accuracy and usefulness of its online recommendation engine by 10%. The more that Amazon or Netflix can display perfectly curated products for individual shoppers, the happier the consumer and the greater the amount of sales completed. 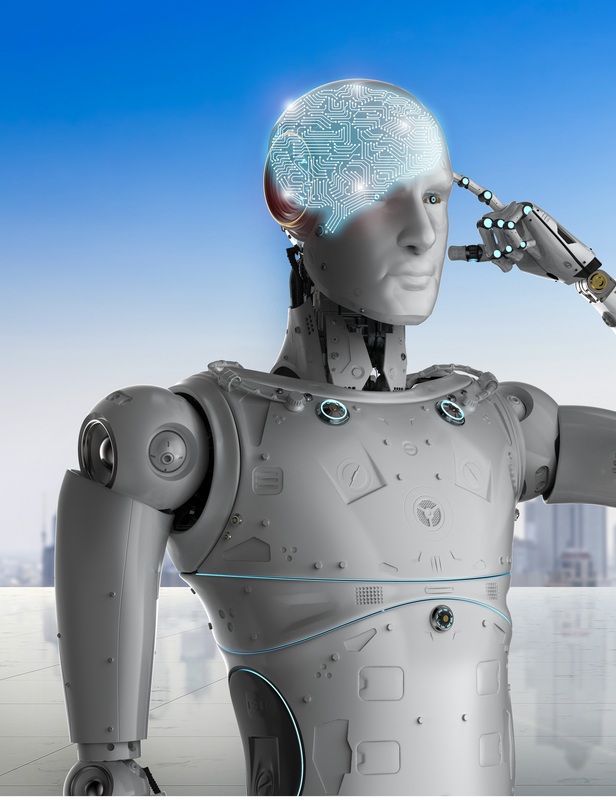 Artificial Intelligence (AI) spending worldwide was estimated at $24 billion for 2018 by analysts at IDC and is expected to grow to $77.6 billion by 2022. This is an estimate on a broad basis that includes spending on software and services. Plunkett Research estimates the U.S. market for AI on this basis at more than $14.4 billion for 2018. Researchers at Gartner estimated that the global business value derived yearly from AI had already reached $1.2 trillion by 2018, while analysts at PwC estimated that AI’s contribution to the global economy could soar to $15.7 trillion by 2030. Search engines like Google and Bing utilize similar technology to serve up billions of dollars’ worth of online ads weekly to carefully-targeted browsers of news, entertainment and data online. These recommendation engines run in the background 24/7; they learn more as time goes by and interactions with consumers increase; they benefit from frequent, incremental improvements made by software engineers; and they make the owners of these technologies highly efficient, effective and profitable in their business operations, enabling the firms to offer better service at lower retail prices. Today, Amazon’s cloud computing subsidiary, Amazon Web Services (AWS), offers the “SageMaker” tool to enable companies of all sizes to quickly build machine learning tools. Consider the implications of machine learning for critical industrial processes. For example, airlines around the world spend hundreds of millions of dollars monthly on fuel. Imagine the benefit, both financially and in terms of reduced carbon emissions, if the air transport sector can reduce fuel usage a mere five percent through the utilization of machine learning—determinizing the most efficient air routes in light of current weather, setting the optimum engine speeds for fuel efficiency and assigning the most efficient flight paths in and out of airports by computer-aided air traffic controllers. Airlines will thereby reduce both total time in the air and total fuel burnt. This is but one example from tens of thousands of potential applications—virtually all factory, supply chain, and transportation sectors can benefit through such uses of AI. How AI works: Simply put, AI and machine learning work by finding patterns in data. The larger the pool of data, the more observable the patterns and the better the accuracy and outcomes of the machine learning process. Amazon, for example, not only uses AI broadly in its online services, it is successfully applying it in physical retail stores. Amazon operates an AI-assisted, 1,800-square-foot brick and mortar convenience store called Amazon Go in one of its Seattle, Washington office buildings. Customers may pick up drinks, snacks and prepared meals. Initially open only to Amazon employees, the store was made available to the public during 2018. Shoppers scan an app on their smartphones when they enter the store, so that they can be properly identified as individual shoppers. Cameras throughout the store track shoppers and note which products they have selected while totaling the cost. The store runs without cashiers, utilizing electronic checkout and payment, while sensors based on AI determine which products were removed from the shelves by which customer, facilitating both checkout and restocking. There is the potential for a very large rollout of these Amazon Go stores in the U.S., and Amazon may export the concept to the U.K. under a new trademark, “No Queue, No Checkout. (No, Seriously. )” Technologies refined in the Amazon Go stores may show up in stores at Amazon’s Whole Foods subsidiary, and in its specialty stores that sell books and electronics. Based on the experience of Amazon and a few other pioneers, Artificial Intelligence will have a very significant effect on the way we shop in stores in the near future. One of the more promising advancements is called “deep learning.” In 2014, Google spent nearly $600 million to acquire UK-based DeepMind, an intensive learning research group. Deep learning is sometimes referred to in conjunction with phrases such as “machine learning” and “neural networking.” The main point is that software can be trained by being constantly fed data, queried as to its meaning, and receiving feedback to its responses. It is essentially training a machine to respond correctly to data of a given nature or to data within a given set of circumstances.